Descendants of fierce Viking sea raiders who settled in Normandy, the Sinclairs later laid the foundations of a mighty power base in Scotland that stretched from Midlothian to Caithness. Builders of the mysterious Rosslyn Chapel in Midlothian, they are reputed to have had links to the shadowy band of warrior monks known as the Knights Templar and been custodians of an awesome secret relating to the bloodline of Christ. The chapel may have built as a repository for the secrets of the Templars, while twelve Sinclair barons are known to be buried in sealed vaults laid to rest in full armour. Stalwart supporters of the Stuart monarchs, the Sinclairs stamped an indelible mark on the nation’s story, while others of the name have achieved international fame and acclaim through a variety of endeavours and pursuits. 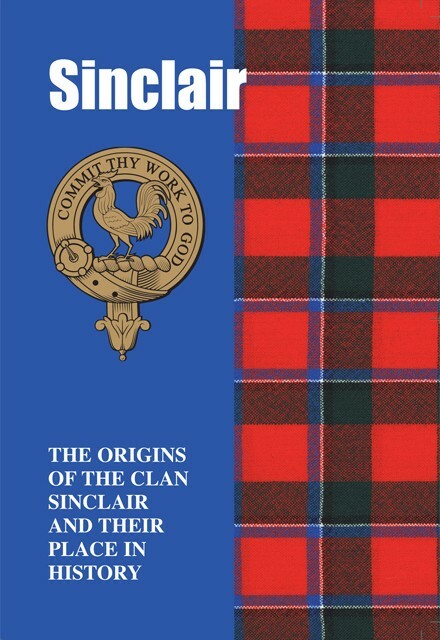 Chronicled here is the proud tale of the Sinclairs of both yesteryear and today.